Water Damage Scarsdale | Call Us Today! In town where severe weather conditions are underway most of the year, the homeowners can count on 911 Restoration Westchester to be there to repair their homes when water damage strikes. The Scarsdale residents need to know that they have a trustworthy, competent and affordable home restoration company they can rely on in their times of need. With 911 Restoration Westchester, the homeowners in this beautiful, suburban city can rest assured that there is a company nearby that will send help to their home within 45 minutes of receiving their call, in order to ensure safety to their living space and loved ones. Whether the damage is caused by flooding, a leak in the roof, an overflowing toilet or a pipe burst, the water damage Scarsdale crew will be able to clean up the mess and make your home look as if it was straight out of a magazine. The water damage Scarsdale experts know how to best assist residents with the restoration process after natural occurrences like floods, heavy rain and snowstorms. When weather conditions impact your home, it is important to be able to call 911 Restoration Westchester. We’re available 24/7/365 so our professionals can get to your home as soon as possible. 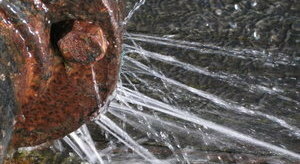 Along with severe weather, sometimes there are problems with the home itself that can cause issues, such as a burst pipe or a problem with a household appliance. In order to minimize the amount of water damage that your home experiences on a regular basis, be aware of signs in your house that unwanted water is getting in inappropriate places. Recently, a customer called our support team because his washing machine on the second floor had overflowed, causing a major leak that soaked the carpets in the living room, hallway and both bedrooms. With 35 years of experience in the home restoration field, the water damage Scarsdale crew knew exactly how to get all the water out of the home, clean the carpets, dry all the rooms and sufficiently check for mold. In order to keep the cost to the customer as minimal as possible, the water damage Scarsdale professionals will work with any insurance company that the homeowner uses. In the case of the overflowing washing machine, the restoration was completely covered by the customer’s insurance. Sometimes good things come from unexpected places. Although the customer didn’t know it at the time, due to the water damage, he was able to get completely new floors all throughout the upstairs of his home. The new flooring was able to give the customer a fresh start. His home looked better than new when our team was through with the restoration. Whenever your home is in need of a fresh start, you can rest assured that our water damage Scarsdale technicians will always be prepared to lend you a hand. Give us a call today!